Have you had this frozen hot chocolate lately? If not you really need to make some. I love to have a cup of hot chocolate when it’s winter time and the air has a chill in it. It’s a great way to warm up and rather tasty too. But I can’t really say that I thought of having frozen hot chocolate in the summertime until I noticed some recipes on line. You know me I adore chocolate… well actually I kind of love the stuff. And when I saw the recipes it really got me thinking that I had to make it. 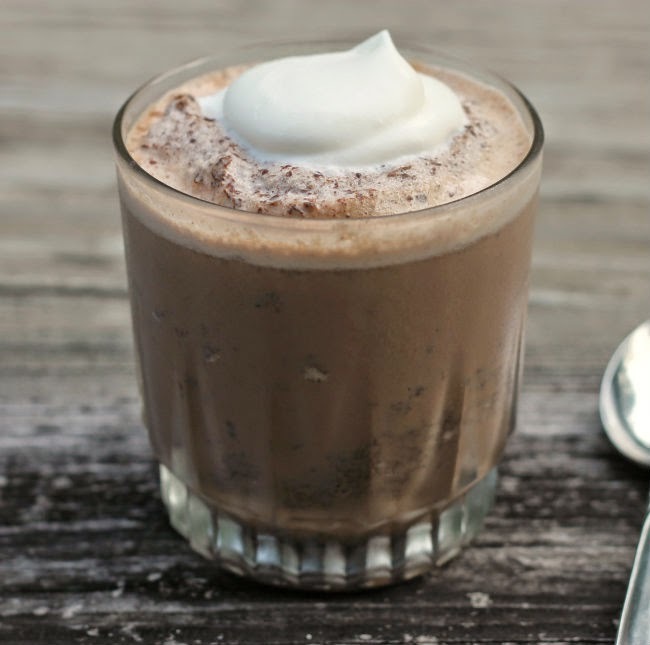 The recipes that I looked at on line suggested using ice cubes as part of the frozen hot chocolate, I am sorry but when it comes to frozen hot chocolate ice just doesn’t seem to fit the bill. I came up with the idea of freezing milk in some ice cube trays. I have to say that was a much better way to go… no watered down frozen hot chocolate for me. The one word that comes to mind when I think of this treat is, well, amazing. The drink was thick and chocolaty and so refreshing on a hot summer night. 4 1/2 cups of milk divided – Take 3 cups of the milk and pour into ice cube trays and freeze overnight. The other 1 1/2 cups will be used when blending up the frozen hot chocolate. Whipped cream or other toppings. 1. In a small sauce pan melt the chocolate chips over low heat, stirring until the chips are melted. Slowly stir in the 1 1/2 cups of milk until well combined. 2. In a blender add the chocolate milk mixture, the packets of hot chocolate, and half of the frozen milk cubes. Blend on ice crush or high until the cubes are blended. Add the remaining frozen milk cubes and blend until smooth. The consistency should be that of a thick milk shake. 3. 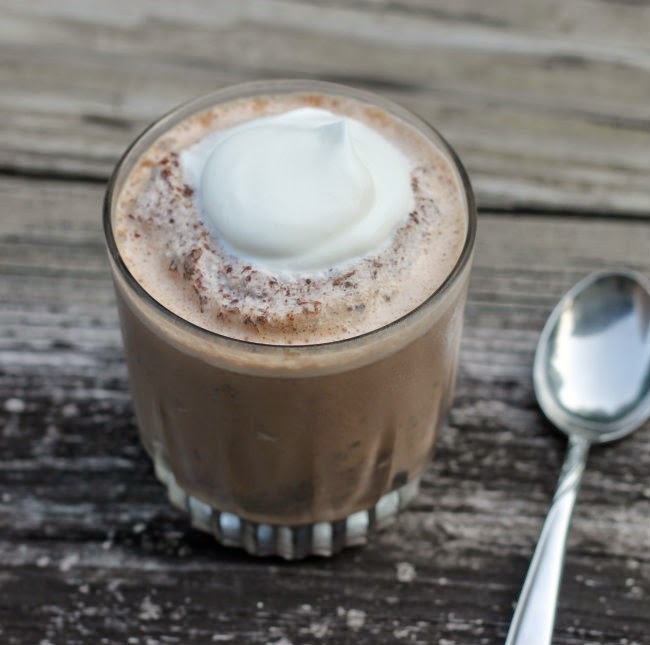 Pour into glasses and top with whipped cream or other favorite toppings. YUM! This looks delicious – perfect for the hot weather right now. Never had frozen hot chocolate and I have to admit that the idea of putting ice in it would have stopped me from making it. I love your solution. Now I have to go guy ice trays. Wow! This is a terrific idea! Not to mention a delicious one. 😉 Thanks so much. YUM! 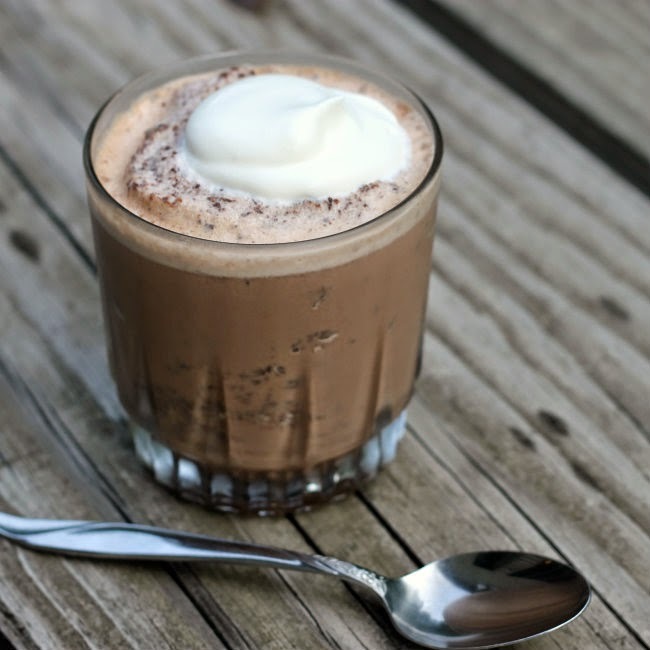 This frozen hot chocolate looks delicious Dawn and so simple to make…love the idea of making ice with milk. The hubby has been drinking a glass of chocolate milk every night before bed (he’s just a big kid!). I need to treat him to your frozen hot chocolate! It looks wonderful, Dawn! 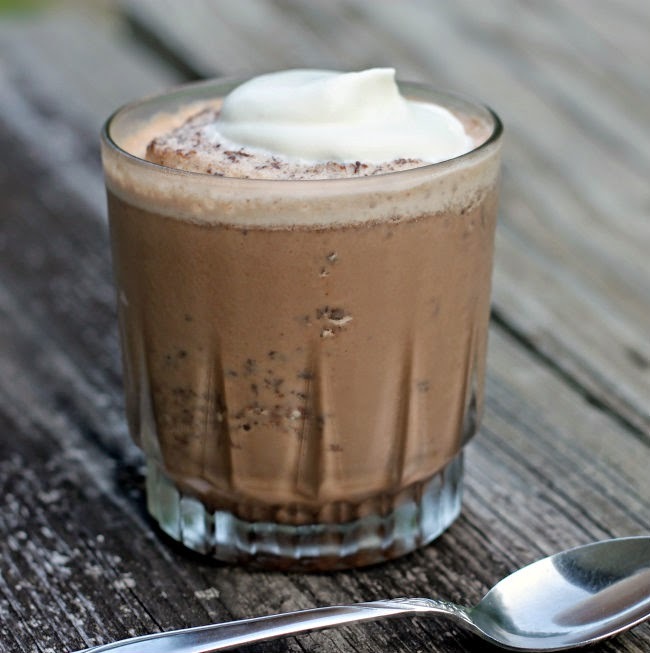 I would never have thought of making frozen hot chocolate, but what an awesome idea. An even better idea freezing the milk rather than using ice cubes too….much better to have that milky taste.